DISSIDENT (AUS) (Bay or Brown 2010-Stud 2015). Horse of the Year and Champion Sprinter in Australia in 2014-15. 7 wins-1 at 2-from 1000m to 1600m, A$2,021,200, ATC All Aged S., Gr.1, Randwick Guineas, Gr.1, VRC Makybe Diva S., Gr.1, MRC Memsie S., Gr.1, CF Orr S., Gr.1, ATC Hobartville S., Gr.2, MRC Blue Diamond Preview (c&g), L, 2d ATC Golden Rose S., Gr.1. Out of SP Diana’s Secret. His oldest progeny are yearlings. Handle the Truth (g. by Star Witness). Winner at 2 in 2017-18 in Aust. Great Sky. 3 wins at 1150m, 1200m, NZ$5,250, HK$2,431,575 in NZ and HK, HKJC Mercury H., Kau Sai Chau H., 2d HKJC Tung Wah Group Challenge Cup, Savile Row H., Central H., 3d HKJC Lek Yuen H., Panasonic Projector H.
Overstay. 2 wins at 1450m, 1600m to 2017-18, 2d MRC Grand Hotel Frankston H.
Snipes. Winner at 1200m in 2017-18 in Aust. Dreamtimes. Winner at 1750m in Aust. Rose Dancer. 2 wins at 1000m, 1300m, MRC Bigscreencompany.com.au H., 2d MRC Mitavite Challenge Heat 5 H., 3d MRC Mitavite Challenge Heat 3 H.
Fleur Fatale. 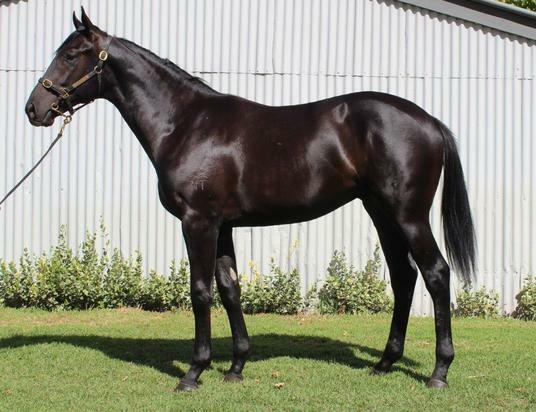 Winner at 2, A$147,000, MRC VOBIS Gold Ingot 2YO P., 2d VRC Euroa VCs H., 3d VRC Betty Cummings H.
Military. 8 wins to 1100m, A$174,555, to 2016-17, 3d MVRC Jeep 55 Second Challenge Heat H.
Anyways Rosie. 3 wins at 1000m to 2016-17 in Aust. Assertive Guest. 3 wins. See above. Alakai. 4 wins at 1000m, 1100m to 2017-18 in Aust. Luxury. 2 wins at 1000m, 1200m, 2d ATC Testa Rossa at Vinery 2YO P., 3d ATC Ibis Milano Restaurant P., TAB Highway H.
Dance Babe. Winner at 1100m in Aust. Sentimental Prince. 5 wins from 1350m to 2050m, A$82,300, to 2016-17, BRC Smirnoff Mekka Raceday H., Smirnoff H., Veuve Society Membership H., 2d BRC Canadian Club 3YO H., 3d BRC Midori H., Ipswich TC Grandview Stud H.
Banks. 2 wins at 1600m, 1650m, SAJC Glenelg H.
HULA CHIEF (Marceau). Joint top of The 1985-86 Australasian 3YO Classification (1300m-2000m). 7 wins from 1000m to 1600m, A$302,280, AJC Doncaster H., Gr.1, VRC Lightning S., Gr.2, AJC Royal Sovereign S., Gr.3, Blue Legend Welter H., NSW Tatt's RC New Year's Gift, STC Inghams Chickens H., 2d VRC Newmarket H., Gr.1, 3d STC George Ryder S., Gr.1. Sire. HULA DRUM (Marceau). 4 wins-2 at 2-at 1200m, 1450m, A$147,060, STC George Ryder S., Gr.1, Skyline S., L, Carlingford Welter H., 2d VRC Newmarket H., Gr.1, AJC All-Aged S., Gr.1, 3d AJC Galaxy H., Gr.1. HAWAIIAN SONG (Zamazaan). 5 wins from 1200m to 1600m in Malaysia, Singapore TC Pesta Sukan Cup, L.
VIVA LA VIE (Wallenda). 7 wins from 1400m to 2100m, A$310,835, Gosford Gold Cup, Gr.3, 2d Murrumbidgee TC Wagga Gold Cup, L, 3d AJC Craven P., Gr.3, Clarence River JC Grafton Cup, Gr.3. CHAMPANO - LUCKY JAI (Mac.) (Noverre). 7 wins to 1500m in Aust. and Macau, Macau Guineas, L, 2d Macau Hong Kong Trophy, L.
ARGENTINA (Waikiki Star). 8 wins-1 at 2-from 1200m to 1650m, NZ$77,900, Otago RC James Hazlett S.H., L, 3d CJC Challenge S.H., Gr.3. MAYBE MIAMI (Iffraaj). 10 wins from 1200m to 1600m, NZ$225,973, to 2017-18, CJC Timaru S., L, Manawatu RC Flying H., L.
SEE THE WORLD (Danzero). 9 wins to 1300m, A$574,150, ATC Maurice McCarten S., L, 3d ATC Sebring S., Gr.3. GLOBAL THINKING (So You Think). 3 wins-1 at 2-from 900m to 1600m, NZ$82,500, to 2017-18, Southland Guineas, L, 2d Otago RC Dunedin Guineas, L.
HANDFAST (Street Cry). 3 wins at 1250m, 1400m, A$258,785, ATC South Pacific Classic, L, 2d BRC The Phoenix S., L.
RUSAMBO (Elusive Quality). 2 wins at 1200m, A$252,940, MVRC Mitchell McKenzie S., L, 3d VRC Danehill S., Gr.2. MORVEN WARRIOR (Sir Tristram). 6 wins from 1800m to 2400m, A$94,875, WATC Winter Cup, Gr.3, Happy Valley H., Golden Wing H., 3d Geelong RC Derby Trial S., L.
TIP THE WINK (Stravinsky). 6 wins at 1200m, 1400m, NZ$165,165, WRC Lightning H., L, 3d ARC Railway H., Gr.1. Producer. I'VE GOT RHYTHM (Rhythm). 4 wins from 1800m to 2000m, R166,585, Greyville Darley Arabian H., L.
SIR MIDAS (Sir Tristram). 3 wins from 1400m to 2200m, A$276,320, Geelong RC Derby Trial S., L, 2d Victoria Derby, Gr.1. HERCULIAN PRINCE (Yamanin Vital). 9 wins from 1400m to 2400m, NZ$44,813, A$567,100, AJC Metropolitan H., Gr.1, STC Kingston Town S., Gr.3, AJC Japan Racing Association P., L, STC Neville Sellwood S., L, AJC Convention Centre H., ARC Giddy Up Cup, STC International Lounge H., Taranaki RC Highview Stud H., 2d ATC Japan Racing Association P., L, Randwick City H., L, 3d NSW Tatt's RC Tramway H., Gr.3, 4th ATC Apollo S., Gr.2. MARDI'S MAGIC (Kenny's Best Pal). 4 wins-2 at 2-to 1400m, A$204,385, STC Magic Night S., Gr.2, VATC Swinburne Alumni H., STC Cabramatta Rugby League Club H., 2d STC Topmost Flying Welter H., VATC Geoff Murphy H., 3d BTC Bernborough H., L, AJC Lease Plan Australia Quality H., MVRC Lone Star Steaks H. Producer. RACING TO WIN (Encosta de Lago). Champion 3YO in Australia in 2006. 13 wins-3 at 2-from 1100m to 1600m, A$3,762,285, AJC Doncaster H., Gr.1, Epsom H., Gr.1, George Main S., Gr.1, All Aged S., Gr.1, STC George Ryder S., Gr.1, AJC Warwick S., Gr.2, STC Apollo S., Gr.2, Theo Marks S., Gr.2-twice, Hobartville S., Gr.2, 2d BTC Doomben Cup, Gr.1, STC George Ryder S., Gr.1, AJC Warwick S., Gr.2. PURREALIST (Tale of the Cat). 2 wins-1 at 2-at 1200m, 1400m, A$200,650, MRC Caulfield Guineas Prelude, Gr.3, 2d SAJC Jansz S., Gr.3, MRC Vain S., L, 3d VRC Danehill S., Gr.3. Sire. OUR CROWN MISTRESS (Star Witness). 4 wins to 1400m, A$189,750, in 2017-18, VRC Lexus Hybrid P., L, MRC Resimax P.